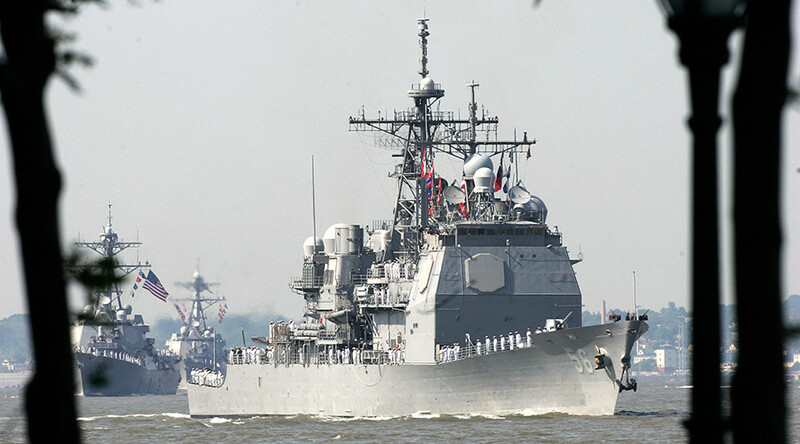 American guided-missile cruiser USS Hué City has entered the Estonian port city of Tallinn, the US Navy said, adding that the visit promotes “safety and stability” in the Baltic region and aims to strengthen US relationship with Estonia. “Guided-missile cruiser USS Hué City (CG 66) arrived in Tallinn, Estonia, for a scheduled port visit to enhance US-Estonia relations as the two nations work together for a stable, secure, and prosperous Baltic region and Europe,” the US Navy said in a statement. "Hue City looks forward to spending time in Estonia supporting our NATO ally," said Captain Dan Gillen, the ship’s commanding officer. "It is essential that we continue to strengthen our working relationships with our allies. This visit also provides a chance for the crew to get out in Tallinn and experience Estonia." After the visit, the cruiser will continue to conduct “maritime security operations and theater security cooperation efforts” in the Baltic Sea, the Navy statement added. USS Hué City is a Ticonderoga-class cruiser serving in the US Navy since 1991. It is over 170 meters long and has a crew of 400, Estonian Navy spokesperson Karl Baumeister told ERR online portal. The ship’s visit comes amid the arrival of US tanks and military equipment in Eastern Europe for NATO military drills, dubbed Operation Atlantic Resolve. NATO says the buildup along Russia’s borders is a defensive measure to counter the “Russian threat” amid the Ukrainian crisis. Earlier in February, US military hardware – including M1A2 Abrams battle tanks and Bradley infantry fighting vehicles – arrived in the northern Estonian town of Tapa as part of continued US efforts to counter the alleged Russian threat. The deployment marks a new phase of the Operation Atlantic Resolve, which started in April 2014, following the Crimean referendum to split from coup-stricken Ukraine and rejoin Russia. Atlantic Resolve is perceived by Washington as a demonstration of continued US commitment to the collective security of Europe in the view of alleged Russian aggression.